It is announced for the information of prospective Applicants (as specified above) and the general public that Application Forms for Admission to Degree/Diploma/Top-Up Programmes of Study at the University for the 2014/2015 Academic Year are now on sale. The Sale of Admission Forms is open to the following Applicants: candidates who have Examination results as of the time of application. Candidates Awaiting Results, Do Not Qualify to apply. English Language, Mathematics and Integrated Science plus credits (A1-C6) in Three Elective Subjects with an Aggregate Score of 24 or better in the relevant Area of Study. OR GENERAL BUSINESS CERTIFICATE (GBCE) Holders who possess passes in Three compulsory Subjects including English Language and passes in any Three Elective Subjects including Business Mathematics. ADVANCED BUSINESS CERTIFICATE EXAMINATION (ABCE) Holders with passes in Three compulsory Subjects plus Three optional subjects relevant to the programme of study, OR Applicants with Stage I of ACCA, ICA, Associate of Chartered Institute of Bankers (ACIB), Chartered Institute of Marketing (CIM) with credits at WASSCE/SSSCE in Three (3) Core Subjects and Three (3) Elective Subjects or credits at GBCE or ABCE or GCE O’ Level including English Language and Mathematics. WASSCE/SSSCE Holders who have credits (A1-C6/ A-D Respectively) in the following Three (3) Core Subjects: English Language, Mathematics and Integrated Science plus credits (A1-C6/A-D) in Three Elective Subjects with an aggregate score of 24 or better in the relevant area of study. HND Holders with Three (3) years relevant working experience in addition to the Minimum Entry Requirement at WASSCE/SSSCE or Five (5) GCE O’ Level credits including English Language and Mathematics. A set of Application Forms, comprising copies of Admission Requirements for the various Programmes of Study, Guidelines for the Completion of Application Forms, Prepaid EMS Envelopes and Forms costs GH¢150.00 (one hundred and fifty Ghana Cedis, non-refundable). The Deputy Registrar (Academic Affairs) KNUST, Kumasi, Ghana on or before Friday, April 11, 2014. Application Forms submitted by HAND/Delivery shall not be PROCESSED. Any application form that is not fully and or properly completed (hard copy and online) at the time of submission shall not be processed and/or considered. A Fee-Paying Facility is available to Applicants who do not meet the Competitive Departmental/Faculty Requirements and Cut-Off Points but satisfy the Minimum Entry Requirements of Aggregate 24 or better. Applicants who wish to take advantage of this facility should indicate this online. Note: Only results and/or documents provided by applicants at the time of submission of applications shall be considered. Applicants shall include in their application forms photocopies of their results slips and/or certificates as well as certified true copy of birth certificate. An applicant’s failure to input grades and/ or other relevant information properly on the forms/online shall deny the applicant admission to a programme of study at the university. 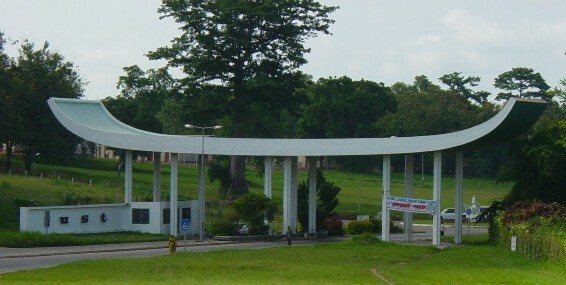 Mandatory requirement: all applicants are required to visit the university’s admissions website (http://admissions.knust.edu.gh) to complete their application process online. Candidates are to use the application number provided on purchase of the forms for this purpose. Failure to do so renders the application invalid. Admissions to all programmes of study at the university are transparently administered by the central undergraduate admissions committee without any other considerations and/ or solicitations. Any applicant who makes any form of solicitation to any person or group of persons for the purpose of influencing and/or gaining admission into the university does so at his/her own risk. This entry was posted in EDUCATION and tagged 2014/2015, ADMISSIONS, AWAITING RESULTS, KNUST, WASSCE.